Carlton Flotation Bed Group with Fast Free Shipping! 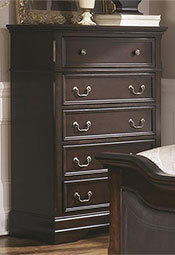 Traditional European design with lightly carved details and padded headboard. The flotation system includes: bed, mattress, and foundation. Matching furniture available. Traditional European design with lightly carved details. 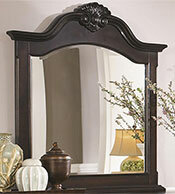 Padded headboard and mirror tops have crowned moulding with dramatic sea shell carving detail. Bed has long lasting leatherette upholstery. 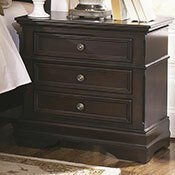 This collection features solid wood and china birch veneers in a cappuccino finish. Felt lined top drawers and nickel finish hardware. Available in Queen, King sizes. The Carlton Flotation System includes: Bed with Headboard Sideboards, & Footboard, 8" deep plush-top soft side mattress and matching foundation for a complete modern flotation system. Available in Queen, and King sizes. The Carlton Flotation System Includes: headboard, footboard, side rails, center support, premium full depth 8" mattress and foundation for a complete flotation system. Matching furniture available. The Carlton Flotation Bed Includes: headboard, footboard, side rails, center support. (Does not include mattress).